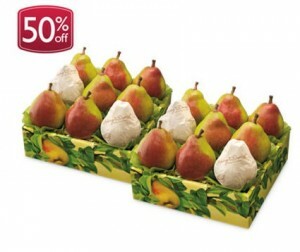 Here is an awesome deal you can get on the popular Harry and David Royal Riviera pears. Get two boxes for $22.05 shipped. Plus stack with ebates and you'll get 8% cashback plus new members can get a $10 Gift Card so what are you waiting for get going as its only good for tonight! To get this deal follow instructions below exactly:Click here to add the two Boxes of Royal Riviera pairs for $22.05 to cart. This is a secret sale that can only be accessed through this link. After you add the pears to your cart. Click on this link and click on “Shop Now” to activate a free shipping code on your order. This free shipping offer is good through tonight 12/14 only. Note: This discount is applied after you enter a mailing address for delivery of your order. Don't order yet! Sign up or open your ebates account and click to the Harry and David link while in ebates. Your cart should be filled with your order and mailing information and you'll be able to checkout. Ebates members get 8% cashback and new members can choose a $10 gift card! Isn't that just amazing! 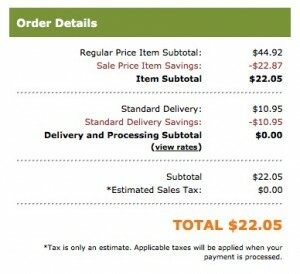 So new members pay as low as $12.05 for 2 boxes Shipped after $10 gift card! steal or WHAT. I've had these before and they are delicious! Tommorow you can still get the two boxes of pears for $33 shipped, which makes them just $16.50 each and still the cheapest price available on these.